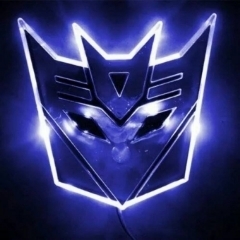 In a moment of weakness, i decided not to feed Galvatron ( ) to the Sharkticons and drop by to say hi. So, how's the old gang doing? Greetings to the newer ones. Not bad, not bad. How are you Derrick? Where's the rest of the bunch? i've heard that even Thrust showed up. Al screwed me up in a trade and pissed me off A LOT. 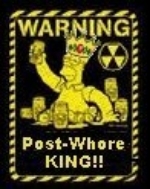 Razorclaw wrote: Al screwed me up in a trade and pissed me off A LOT. By all means I should delete your post, But i'm not going to. I have nothing to be ashamed of. You make it sound like I didn't keep my end of the trade. Or as if I swindled you somehow. The trade never happened. You kept your stuff and I kept my stuff. If you have any issues with me let's keep it private and hopefully we can work it out. But as mentioned above, it's all water under the bridge. Wassup, man. I miss the olden days when everyone was always on. I guess life gets in the way. 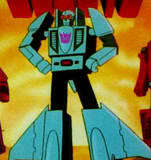 Galvatron wrote: You kept your stuff and I kept my stuff. Well, not quite... I sold some of my stuff to buy your stuff, then you changed your mind after you've been asked if you were sure. If you still think it's ok, what can i say. And, if you have nothing to be afraid of, why say that you should have deleted my post? And to keep it private from whom? Ramjet? BB? Dirge? I never claimed you to be a thief, i even wrote it turned out better; stolen stuff doesn't get better. Threatening by authority is bad, even on the internet. If you want, delete the whole account, i couldn't care less. I've put it nicely and friendly, you should have been more careful instead. OK OK OK. It appears you don't want this discussion to be private. the reason why I felt like I should have deleted your post is because you violated the LAIR RULES #1, #2, and #5. We've already did, sorry if you had to keep up with this dude. Thanks Dirge. How are you BB? Still trying to land a hit on a 'Con?